JEAN-LUC BILODEAY (Early) – Jean-Luc Bilodeau is currently the lead on the #1 comedy series in ABC Family history, “Baby Daddy.” He plays Ben Wheeler, the fun loving, cool, and good-looking young bachelor whose world is turned upside down when he discovers a baby girl left at his front door by an ex-girlfriend who claims he is the father. The series is executive produced by Daniel Berendsen and also stars Chelsea Kane and Tahj Mowry. In 2012, 2013 and 2014, Jean-Luc was nominated for a Teen Choice Award for Choice Summer TV Star for his role, while the show was nominated for Choice TV Breakout Show in 2013 and Choice Summer TV Show in 2015. Most recently “Baby Daddy” was nominated for Favorite Cable TV Comedy at the 2015 People’s Choice Awards. The show will be returning with its fifth season on February 3, 2016, airing on Wednesday nights at 8:30pm PT/ET. Proving himself among his peers with natural charisma and comic adeptness, Jean-Luc has become an emerging young talent. Born and raised in Surrey, British Columbia, Canada, Jean-Luc and his family knew at an early age that he was destined for show business. He got his big break when he was cast as the smug but charmingly handsome bad boy brother, Josh Trager on the long running ABC Family sci-fi drama series “Kyle XY.” At the time, the series was ABC Family channel’s highest rated original series. In 2009, after completion of “Kyle XY,” Bilodeau booked the highly anticipated 1/2-hour comedy pilot, “Strange Brew” from executive producers David Kohan and Max Mutchnick, starring opposite Skylar Astin and Laurie Metcalf. Although “Strange Brew” was not picked up to series, the experience would ignite his passion for comedy. That same year, he landed the recurring role of Bret Martin, the love interest to Kay Panabaker’s character, on ABC’s “No Ordinary Family” starring Emmy winner Michael Chiklis, and co-starred opposite Debby Ryan in the hit Disney Channel MOW, “16 Wishes.” The MOW went on to become the most watched cable program on the day of its premiere, ringing in 5.6 million viewers. In 2012, Jean-Luc starred in three motion pictures: “LOL” opposite Miley Cyrus and Demi Moore for Mandate Pictures, “Love Me” for Anchor Bay and campy, horror film, “Piranha 3DD” opposite David Koechner and Ving Rhames for Dimension Films. 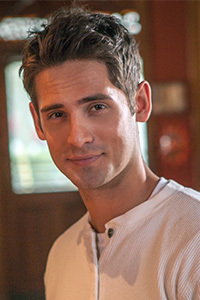 In 2014, Jean-Luc was able to showcase his dramatic abilities, starring opposite Jesse McCarthy and Alyson Stoner in the “Untitled Amish Project,” a Romeo & Juliet type story with the Amish community set as its backdrop. 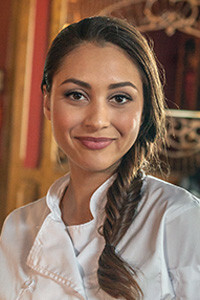 Last hiatus season, he wrapped the PixL film “Casa Vita” opposite Lindsey Morgan. Additional credits include guest-starring roles on “Girlfriends’ Guide to Divorce,” “Supernatural,” “The Troop,” and “R.L Stine’s The Haunting Hour,” as well as a supporting role in the Warner Brothers Pictures and Bryan Singer produced, “Trick r Treat” opposite Dylan Baker, Anna Paquin, and Brian Cox. In late 2013, Legendary Films announced that there would be a sequel to this cult favorite. In his spare time, he can be found enjoying yoga, playing hockey and snowboarding. Jean-Luc currently resides in Los Angeles. Follow him on Twitter at @bilodope and on Instagram at bilodope. Born in Georgia, and raised in Texas, this half-Irish, half-Latin beauty discovered her love of theatre at a young age; and after starring in numerous high school productions such as: Little Shop of Horrors and Footloose, Lindsey knew that acting was her passion. Realizing that her career was building at a swift pace, Morgan made the decision to move to Los Angeles to continue her work as a full-time film and TV actress. The risk was soon rewarded when she landed a role in the indie film “Detention” alongside Josh Hutcherson and Dane Cook. The film premiered at SXSW and was later released to select theaters by Sony Pictures to rave reviews. She later booked the lead in MTV’s original movie “DISconnected,” which was part of their “A Thin Line” campaign. The film and the campaign were developed in order to empower young people to identify, respond to, and stop the spread of digital abuse in their lives. The film premiered to much acclaim for its message to youth. Lindsey went on to star in the upcoming horror-comedy film “Chastity Bites” alongside Allison Scagliotti and Francia Raisa. Lindsey’s television work has included appearances on “How I Met Your Mother,” “Happy Endings,” “Supah Ninjas,” and “A Think Line.” Lindsey is still widely recognized for her work as a series regular in the ABC soap “General Hospital,” which garnered her a Daytime Emmy nomination for Outstanding Younger Actress in a Drama Series. Lindsey has also wrapped a leading role in the Pixl television movie “Casa Vita” as Ariana Vita opposite ABC Family’s “Baby Daddy” star Jean Luc Bilodeau. ESAI MORALES (Rodrigo) – Award-winning actor Esai Morales is a graduate of New York’s High School for the Performing Arts. He began his acting career on stage, first appearing in “El Hermano” at the Ensemble Theatre Studio and at New York’s Shakespeare Festival In The Park in “The Tempest.” He had his feature film debut in “Bad Boys” but it was his breakthrough role in “La Bamba” made him a star, contributing to making the film the most commercially successful Latino-themed Rock biopic of all time. To this day, his role as Bob Morales continues to captivate audiences and can be seen across a variety media platforms. 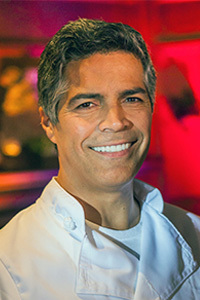 In 1997, Esai Morales co-founded the National Hispanic Foundation for the Arts, created to advance the presence of Latinos in the media, telecommunications and entertainment industries. The NHFA has since provided scholarships to hundreds of Hispanic students in excess of one million dollars. Film credits include “Bad Boys,” “La Bamba,” “Rapa Nui,” “Mi Familia,” “Fast Food Nation,” “Paid in Full,” “The Line,” “Atlas Shrugged: Part II,” “Jarhead II: Field of Fire,” “The Disappearance of Garcia Lorca,” “Gun Hill Road” (grand Jury Nominee Sundance Film Festival 2011) and “Spare Parts” (Pantelion). Television credits are comprised of the Emmy award-winning series “NYPD BLUE” (ABC), “Law & Order: SVU” (NBC), “Criminal Minds” (CBS), “Major Crimes” (TNT), “Magic City” (Starz), “The Brink” (HBO), “Blue Bloods” (CBS), “From Dusk Till Dawn The Series” (El REY), “Resurrection Blvd” (Showtime), “American Family” (PBS), “Miami Vice” (NBC), “Fame” (NBC), “The Burning Season: The Chico Mendes Story” (HBO), “Vanished” (FOX), “Burn Notice” (USA), “Jericho” (CBS), “Caprica” (Syfy) and “Fairly Legal” (USA).